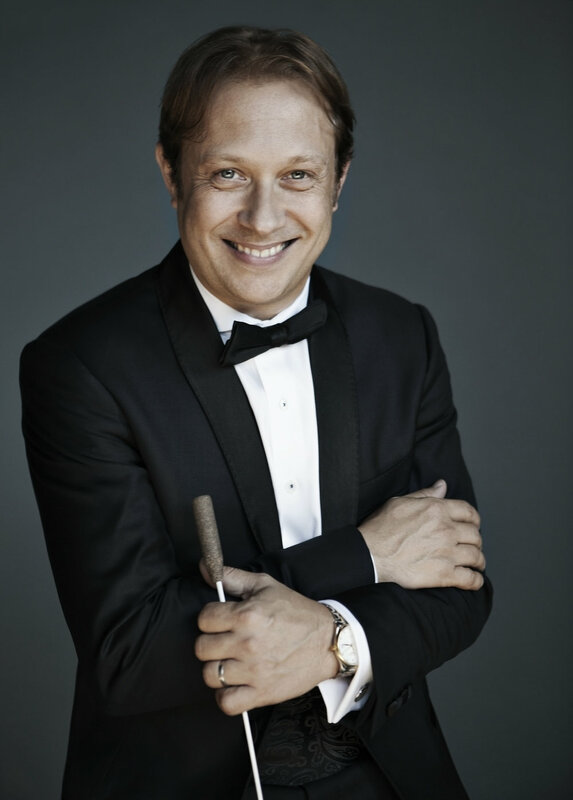 in anticipation of the TSO’s inaugural concert for 2019, i was excited to ask conductor maestro ludovic morlot about his last-minute heroics in saving the program originally scheduled for maestro david robertson, what excites him the most about the program he’s conducting and how the TSO compares to other orchestras on the world stage. maestro morlot will be back in seatle later this month to conduct a program which includes beethoven’s Piano Concerto No.3 with the SSO. i’m especially grateful to the TSO’s public relations department and maestro morlot for taking time out of his busy schedule to provide thoughtful answers and insights into the moving parts of the TSO program that premiered on january 10th, 2019. * it appears the announcement of your substitution for david robertson was relatively recent, how were you able to prepare for this production with the TSO in a less than ideal timespan? what was the selection process that chose you as the replacement for maestro robertson? i understand that you were the conductor in residence under maestro robertson at the Orchestre National de Lyon almost two decades ago, how do you think your time with him helped prepare you for this production? As always in such situation the repertoire is the leading aspect that drives my decision to accept a last minute engagement or not. I have had the chance to perform Sibelius 2nd symphony last season on a short California tour with the Seattle Symphony and Stravinsky's Violin Concerto is a piece I simply adore. I felt I had enough time to learn the Kurt Weill with which I was somewhat familiar to jump on this opportunity to share this program with the Toronto Symphony and its audience. The fact that Leila Josefowicz is a dear friend and such an outstanding artist did help also for me to make that decision. As for the selection process someone at the Toronto Symphony might be in a better position to answer that question. It obviously starts with availability of the artist and as much as possible with being able to retain the scheduled programme. I have enjoyed tremendously my time working with Maestro Robertson in Lyon and am thrilled I can help with taking over these concerts for him. * sibelius is my favourite composer and I’m always excited (and surprised!) whenever the TSO produces one of his works. critics seem to favour his later symphonies over the first two on account of their lyricism and priority for content over form, nevertheless his first symphony is my favourite: what is it that excites you the most about his Symphony No.2 and what do you find special about sibelius as a composer? What impresses me most about Sibelius as a composer is that despite all the obvious influences that one hears in his music (Wagner mostly in his 2nd symphony I find) he found his voice as a composer very early on. There is a very distinct sound that he draws out of the orchestra. A combined lyricism indeed with an ongoing harmonic tension that reminds us of the music of Wagner's Tristan and Isolde, particularly in the 2nd movement. The form of his symphonies is also fascinating and maybe in the same direction that what Debussy was also doing at the turn of the 20th century. But one also hears the influence of a composer like Tchaikovsky in the early symphonies of Sibelius. All this combined allows him to create his own voice as a young composer which is the aspiration of any artist I believe. * in his introduction to the TSO’s production of tchaikovsky’s Symphony No.4 last december, maestro earl lee praised the TSO as one of the best orchestras in world—the cadence in his voice prepared for an applause but was met mostly with silence and a couple solitary cheers. (torontonians are usually reluctant to see ourselves as pre-eminent in anything, the arts included). as an international conductor how would you say we measure on the international stage? what’s the excitement level when a european conductor, for example, gets a phone call from toronto? There is no question that the Toronto Symphony is amongst the leading orchestras in North America. A great history and tradition combined with wonderful pride and artistry from its musicians makes it an orchestra that can not only give great performances but also inspire any guest artist to grow. Every great city has a great orchestra! So that makes Toronto a great place to be as well.